Whether you’re looking to get healthier, be more productive, or simply live happier, healthy habits form the foundation for success. No matter the day, where you are in your journey, or what time of year it is, it’s ALWAYS the perfect time to make healthy changes. In this episode of the BioTrust Radio podcast, we’ll reveal 11 must-do, healthy habits that we believe everyone should be practicing as part of an overall healthy lifestyle. We recently came a blog post written by Joshua Becker, founder and editor of Becoming Minimalist, titled 11 Healthy Habits for a Better You—Proven by Science. This list resonated so much with us, and we think these healthy habits are so powerful, critical, and fundamental to human success and excellence, that we decided to do a whole episode of BioTrust Radio covering them. Shawn: Hey, we’re back with BioTrust Radio and I’m really happy to do yet another show with my amazing partner, Tim Skwiat. This is Shawn Wells. We got emotional just a minute ago on our last podcast. Sometimes we record a few at a time. So, just full disclosure. But I will say that one, I love conversation with this person sitting across from me, and hopefully you guys feel that sincerity when you listen to the show. So I want to give Tim some really good credit on that. But two, sometimes we have like these amazing conversations on the side when we’re trying to plan these out, and we’re like [Tim laughs] maybe we should have just been recording all that. Shawn: So, maybe we should just do like the show after the show, or the outtakes or something. But it’s always fun talking to you, Tim, and I think we make a really good pair, and I love the conversation. Like I said, I was like almost in tears just talking on the last one. I get emotional about this stuff because I want to, I really do want to impact people’s lives. You know, we all have our struggles, and I love the idea of someone just saying like “this resonates with me” and “I understand what he’s talking about and I want to change my life” or “this person’s saying what I’ve been thinking” or something like that. Like just hitting someone in the soul makes you feel good. Tim: Yeah, man, 100%, Shawn. I listen back to all of our episodes and man, I can feel it, that what you’re talking about, and I hope all the people listening in and can too. Tim: And it’s just, it’s incredibly powerful for me to sit right here in front of you and see you and see that emotion come through, because it’s something that I know is so deep and dear to you, is to help other people. That’s why you’re doing what you’re doing. You’re here because you want to help other people and that’s why I’m here too. And it’s amazing that there’s other people out there like us, and that’s what’s awesome, and we need to get more people doing this kind of thing. Tim: But it’s a special opportunity to be here with you, and I know that the feedback we’re getting from people that are listening to the show feel the same way. So we’re going to keep doing what we’re doing. Tim: You know, we talked about some things off the air about dopamine and the feel-good chemicals that come through, and having conversations like we’re having. So, if you know what Shawn and I are talking about, if you have someone or multiple people in your life that make you feel that way when you have conversations with them. That is an incredible pillar of health, right. Like you talked about the Harvard study that identified the most important thing for health. Tim: And to prevent mortality was quality of relationships, right? Shawn: Exactly, yeah. It’s a 75-plus year study. The longest study in existence, from one of the best known academia in existence. Yeah, they looked at everything. They looked at blood markers, they looked at disease status, genetics, you know, where they worked—everything. They broke these people down. And quality of relationships was number one in determining how long people live. Tim: Yeah. So, seek out those people. Tim: Make time for those people and just see how it inspires you to make better decisions, to do better things with your life and with yourself. So that’s kind of an inspirational start to today’s episode. Shawn: Yeah. And full disclosure here too, just FYI, we could do this over Skype, but Tim actually flies in from Austin. We are here, in Dallas, doing this recording. And I think this is one of the reasons, I think. Hopefully you appreciate this again, too, that we feel like we have a deeper connection, a better episode, that hopefully translates to you, the listener. When Tim and I are in same room and we’re talking to each other, when we’re looking at each other, listening to each other, and getting a chance to plan things out in person, I think does make it better. And hopefully that does come across. Anyway, that was that was a little full disclosure moment. 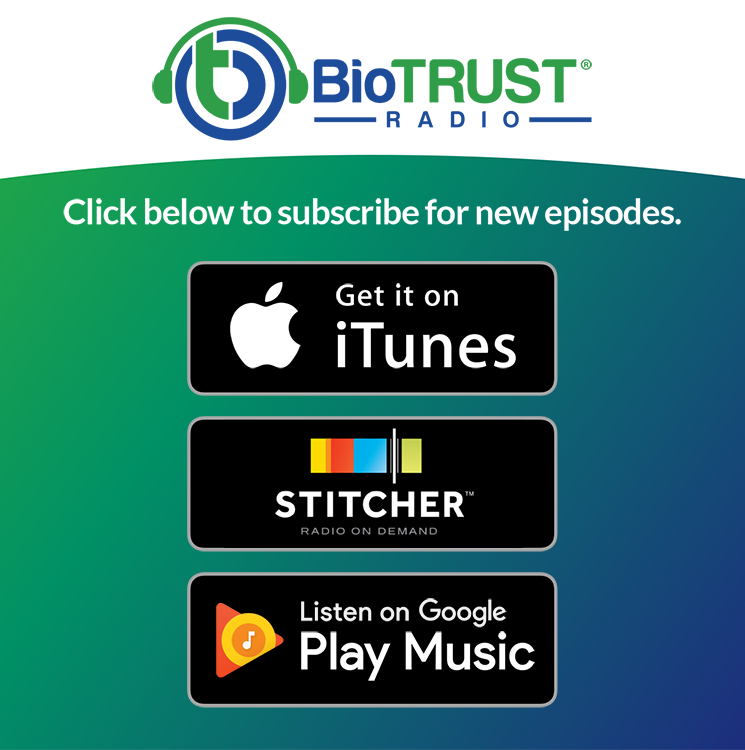 We wanted to give you some insight into BioTrust Radio. And I hope you feel we’re doing some good things and we’re giving you good advice to have a better life. And it’s hopefully not just fitness and diet. Shawn: I think you’re getting a sense for us talking about wellness, because it’s all big picture. You know, I love motivation and inspiration, and like Tim was just saying, healthy relationships. I mean, that’s the number one predictor. So, let’s have a healthy relationship right now with our listeners. Tim: Let’s do it and roll into this episode about healthy habits. Shawn: So, 11 Ways to a Better You. I read this article and I passed it onto you. It’s by Joshua Becker, and I wanted to give him credit for his work. Shawn: He put together a great list of healthy habits and it was all backed by science. But it was 11 healthy habits and it’s just a phenomenal list. So we’re going to go through it. And there was a great quote that started it out, “Good habits make all the difference,” and that was by Aristotle. So that’s taking it back. Tim: Take it way back. Shawn: Way back. But, you know, hey, I mean, he was one of the greatest philosophers of all times, and it’s a valuable quote. So healthy habits make all the difference. It’s going to set the tone here. One of the other things that sets a tone here’s he’s a writer about minimalism. And I was making the comment before about, with me, I struggle with clutter because I’m an overachiever, I’m a high productivity person. I work probably 80 hours a week, like, I can’t stop. And so, for me, clutter is like is my enemy. So when I’m in a clean or empty room, I feel more at ease. And I understand this whole minimalism thing because I think you can achieve more when you are less distracted. There’s bigger picture stuff too, like with having too much stuff, and we can get into that. But, I think minimalism means, let’s take it down, let’s get rid of some of the clutter in our lives, in our mind. You know, mindfulness is actually like the practice of being aware of what’s around you. And that sounds so silly, right? Like why wouldn’t we be aware of what’s around us? Like did you actually just hear that bird chirp? Did you hear that jackhammer, if you’re in traffic? Did you hear this, did you see all those signs around you, did you see that that beautiful tree and those leaves turning, or did you not? Like where you already so distracted with all the clutter in your mind? There’s even that practice of like the tiny houses and, you know, there’s all kinds of things. This minimalism thing is very interesting because we’re just getting bombarded with information and sensory overload. And so, kind of peeling back the onion a little bit can be helpful. Tim: Yeah, minimalism is kind of the antithesis of multitasking, in a way. Shawn: Which data shows we cannot do. Tim: We cannot do, and we waste time when we do it. When you go back and forth between things, there’s a constant leak of time and energy. There’s a great book on this topic that I recommend to everyone who wants to get better in life reads, it’s called, “The Power of Less” by Leo Babauta, I think is the way. We’ll put in the show notes, B-A-B-A-U-T-A. And it just talks about how focusing on one thing at a time is so effective, in every area. In fact, we recently talked about why diets don’t work and we talked about how diets typically have you do this massive overhaul. And that’s I like you used the word “clutter,” because that word to me is just like there’s all this stuff. There’s a lot of things going on. Tim: So, when you focus on just one thing, you clear the clutter, right? Tim: When you focus on healthy habits – one at a time – or one behavior at a time, you’re going to be much more successful. And so, with these healthy habits that Joshua Becker talks about in the article, you know, there’s 11 healthy habits here. But we’re not saying try to do all 11 healthy habits at once. Maybe pick one of them, and just focus on that one. Tim: And also, going back to when we talked about “Why Diets Don’t Work,” we really talked about that lifestyle behavior modification-related way of approaching health, you know, a lifestyle of healthy habits, health optimization, living well, what have you. We talked about doing one thing at a time. So, these are like things that you can focus on in your journey. Tim: So this kind of goes hand-in-hand with what we talked about before. Just one other thing that we’ve talked about offline earlier was how those things that clutter, that also can be related to the lack of boundaries that we set in our lives. Tim: So a lot of us have difficulty saying “no” to people, and we want to take on all of these responsibilities. Tim: It’s very hard. And then once we don’t set those boundaries, then the people that are outside our world—we think we have these boundaries, but we never actually set them for other people to see and to respect. Well, those people, you know, they don’t have any fence to worry about, so they keep coming to you and asking you for help and things like that. Shawn: More and more and more. Yeah. Tim: Because you’ve set the expectation already, and you reluctantly say “yes” every time and you continue to build up this resentment, over time, and you start to hate this person who really never did anything wrong. You were the one at fault, right? Tim: Anyway, this minimalism mindset to me also envelopes the idea of setting boundaries. Shawn: I love that. Well, I think you’re like the champ at number one on the list of healthy habits. So, if you guys didn’t know, Tim is a world-class expert on exercise. He’s a personal trainer, but also a strength and conditioning coach, sports nutritionist, worked with thousands and thousands of people, including all of you listening. Tim’s a model of physical fitness himself. So exercise, Tim? Shawn: Right, because let’s say if you have some 800 calorie dessert, or you know, if you have a Coke and a popcorn, or you have a Snickers, and whatever. And it’s 400 or 500, you know, 600, 700, 800, 1,000 calories, how much walking is that to burn that off? Shawn: …on some of those food choices than to kind of exercise your way out of it. Certainly there’s a synergy, certainly there’s value to exercise and caloric expenditure, but I think the greater effects—like I go to an executive gym where I just see, like, it’s kind of cool to see these really accomplished executive men, some of them are in their 50s, 60s, 70s, 80s, still working. I go first thing in the morning, so I see the morning guys, and they’re there every day, and I’m there every day. And I know it’s just part of their routine. Shawn: And it’s part of their excellence routine. Shawn: And it’s part of the reason they’re successful. And I love the idea of, you know, kind of going back to Tim Ferriss, like having something, like you’re accomplished. You start your day accomplish. No matter what happens the rest of the day, I at least started my day with something that I can be proud of, that I that I knocked out, and then I can go meet the day. Tim: Yeah. Just kind of a tangent on that, I’m glad you brought up Tim Ferriss because I remember an interview he did with—I think it was General Stanley McChrystal. Tim: And in that interview, Tim Ferriss is notorious for asking people what their morning routines and healthy habits are, and the General said that he made his bed. It’s the first thing he did every day. And it’s like, okay, you made your bed. And he’s like, “No, I make my bed because that is the trigger that starts the day, that gets everything in line.” Like you were saying, the exercise might be the trigger to get that executive’s day started. He’s going every day and does he need to for, you know, XYZ health benefit? Maybe not, but that’s what makes his day successful. So, you know, getting in these healthy habits is important for that reason. Shawn: Healthy habits for life. Healthy, life long habits. Yes. Shawn: So, good healthy habits make all the difference, according to Aristotle. Tim: Good healthy habits make all the difference. Shawn: So, number two on the list of healthy habits, I’ll take Less Television. We’ve talked about the blue light effect of television is one impact, and certainly I would say with screens getting hyper‑bright and, you know, beautiful 4k and unbelievable resolution and brightness. To me, it’s getting even more, not only blue light, but even more stimulation with all these colors. I mean think about like when you watched 30-40 years ago, like a 13-inch black-and-white TV. And there was like—I don’t know—Howdy Doody or whatever this show was that maybe someone was watching. You know, like I remember there’s a movie, “12 Angry Men.” It’s a very popular movie about a court case hearing, and basically the whole thing takes place in one room. And if you watch a movie now, Michael Bay, for example and it’s just explosions. I forget what the jump cut or the edits that are in movies and TV, what the average time is. If you watch a commercial, it can be more than one a second. Shawn: An edit per second, like a frame jump per second. That’s insane. That’s so stimulating. And then you’re watching—I don’t know—you know, “Game of Thrones,” or something that may be violent and sexual, and deviant in some ways. I’m not saying that drama is bad or that Game of Thrones is bad. I watch it. A lot of people watch it. But, you know, it may be the time that you watch it can affect you, so think about that. Shawn: But, you know, here in the minimalism thought, can you just watch less TV? Shawn: Plan, you know, like you’re planning your exercise out, plan your television out. Plan a movie out and enjoy it. And I would say, don’t watch crap TV, don’t watch crap movies. Shawn: You know, if someone says, “That’s a great movie,” then plan it and go out and see it, or whatever. If that’s a great show and it is kind of up your alley, then plan it and watch it and make time for it. But, you know, don’t just sit around and watch TV because that’s like the enemy of not only productivity, but it really doesn’t help the mind unwind. You think it does, but it doesn’t. Shawn: I really think it’s counterproductive in that way. I think exercise is that one—going back to number one—where you could unwind. Even though you might be running around or doing something, ironically, the sitting thing is winding you up, and the moving thing is winding you down. Ironic? Tim: Right. That is ironic. Shawn: So, less TV. But what about this next one, for you? I love this one, actually. Tim: Yeah. Just a couple of thoughts, because this is a good segue. I think about, also, what we typically do when we watch TV. It’s a trigger for, typically, unhealthy eating. Keep in mind that. Tim: That’s right. Sitting is the new smoking. And definitely there’s data there, that sitting is not good for us. Tim: Especially sitting for prolonged periods of time. So, with that in mind, if you are going to watch television, there’s things that you can be doing. Shawn: It’s making you feel insecure and you need to buy stuff. Tim: Right. So pay attention to the TV as a trigger for unhealthy habits, right. Tim: The last two points that I would make on the TV side of things is one, if you can avoid sitting on a couch. Maybe sit on the floor to watch TV, because typically the floor is less comfortable, so you’ll probably move around a little bit more, so you won’t be at least sitting still. Or maybe you can do some stretching or some movements, if you are going to be watching TV. Or if that’s a time when you can actually sit with your significant other, maybe it is a quality bonding time. But that time would probably better spent having a conversation. So, just a couple thoughts on the TV side of things. But moving into number three on the list of healthy habits, is Spend More Time Outdoors, please. Shawn talked, when he talked about TV, he talked about the effect of blue light. Too much blue light, especially at night time, from the television screens. I think that that we’re starting to realize that’s a problem, just in general. You and I know that’s a problem and I think the word is getting out that too much blue light at nighttime suppresses melatonin production, it’s probably not good for health. But what still needs to get out is that people aren’t getting enough daytime sunlight outdoors. Tim: We’re indoors all day long and we’re exposed to this low level, we’re getting blue light from these fluorescent lights, from our computer screens. However, the amount of light that comes from an inside office like this is probably about 500 lumen. It’s a measure of light. Outdoors is like 200 times that. It’s like 100,000 lumen. So, that light from outside basically sets our circadian rhythm and helps us recycle our melatonin. So we can’t have that good melatonin production at nighttime if we’re not getting that outdoor exposure during the day. Another benefit of being outdoors is it jacks up the dopamine production. And like we talked about before, having these awesome conversations can also do that, but if we’re not getting outdoors we’re going to be looking for other things to help us get that feeling of goodness, that feel-good thing. Shawn: I think you talked to me about this fresh-air study though, too? Where they pumped in fresh air into—I want to say this is a Japanese study, where they pumped in fresh air into an office and there was better outcomes to the people that were in the office. Shawn: So, just literally, instead of the recycled air, these people getting this fresh outside air had healthier outcomes and were more productive and happier. So, you know, the old like, “Hey, step outside and get some fresh air,” maybe there’s some truth to that too. Tim: Yeah. I won’t I won’t ramble on too much more, but there’s so much benefit to being outside – it’s one of the most important healthy habits. One, the environment’s set up outdoors. We have trees that produce the oxygen that we need to breathe and then it uses the carbon dioxide. Basically, it’s is built that way, you know, stress management. For me, I do a lot of writing, so getting outdoors during the daytime can help creativity and things that I want to write. I will say this, too. If you can get outside in your bare feet and walk around in the grass and do some grounding, which is another healthy habit, that get help with your mood, energy levels, and things like that, too. Not to ramble on too much more, but also getting outside at nighttime is probably not a bad idea either, because again, that’s going to be probably the darkest place at nighttime because indoors we have the lights on. So it kind of helping with those light/dark cycles. The other nice thing about being outdoors at nighttime is that it’s typically cooler outside and the temperature is also a significant part of our circadian rhythms. Shawn: Another thing about getting outside is thermic conditioning. Shawn: And we are kind of too thermally controlled, I would say now. You can get really technical, like brown adipose tissue and heat shock proteins, and all this stuff. But basically, we lack the capacity for hot and cold anymore because we’re regulated to 68 degrees, 24/7. Shawn: You know, that’s potentially a problem that like we can’t even deal with environmental stressors anymore. Tim: Yeah, so take your shoes off, take your shirt off. And if you take your shirt off during the day you get that added bonus of vitamin D production, which I didn’t even touch on there, but that would also be another important benefit. So, I’m going to hand the baton over to you. Shawn:I love that. I mean, this is great. If we go long, we go long. We’re talking good stuff here, people – healthy habits. Shawn: So anyway, next on the list of healthy habits, Read Fiction. I like this. I think the reason, in particular, is it’s great to read, of course, all the time. And hopefully, you know, you read positive, inspiring articles on health and fitness, and read in the VIP forum with a BioTrust, and you read our blog and stuff like that, and get good information. Read the news or whatever. But reading fiction, I think—he calls out fiction in particular here because it stimulate, you were just talking about creativity. That’s one thing. I love sci-fi and fantasy movies and stuff like that, that really pushed the boundaries of thought. And I think when you read fiction, you think outside the boundaries, and that helps with your problem‑solving, and that helps with your happiness. You know, just having creativity, I think, makes you more inspired, makes you feel less weighted from the world, and makes you think that there’s more openness in the world, there’s more solutions, there’s more to come, that you haven’t seen everything. Maybe you can get jaded over time. Just your day-to-day routine and you’ve seen it all and you’ve taken the same route every time, and you know, like reading fiction can help you get outside of yourself and get creative. Tim: Yeah, I like that. My wife has recently taken this healthy habit on. She’s reading fiction at nighttime. The unexpected benefits to me are, one, this is something that’s exciting to her and so she’s now going to bed an hour earlier to read. And it’s not keeping her up later. It actually helps her. She’s like you, Shawn. She tends to, as soon as her head hits the pillow, her wheels just turn, right? Tim: And this has really helped her wheels slow down and helped her quality of sleep. So she’s going to bed earlier, she’s going to sleep earlier, and she’s getting better sleep. So these are these are things that I did not expect, but could be potentially added benefits. Shawn: Right. And sometimes the non-fiction might stress you and might, you know, “I need to change this about myself.” Or if it’s news, it can be maybe a little too heavy. Shawn: So that’s where that creativity thing is good. So what about giving, Tim? Tim: Yeah, the next one on the list of healthy habits is Giving. This is one that’s exciting to me, and I know to you, too. Tim: You’re just a natural giver. Something you’ve mentored me in a lot of areas, and one of the things that you’ve Thank you. Tim: Absolutely, I mean it’s inspiring to me. I would say, I’m just amazed by how you always give your time so freely. Like you just said, you literally are working 80 hours a week. This is not a joke. This is not an embellishment. He’s always working. But no matter when I reach out or when I have a question, Shawn always makes himself available, and he always makes you feel like you’re the most important person in the room. And to me, it’s just incredible. So giving, you can give in a lot of different ways. A lot of people think about giving money, which is important to do. I think this one I would hold special. And just to kind of elaborate, when you give, you tend to not only help the person you’re giving but there’s a feel-good thing inside of you. And sometimes it can be nd of a contagious thing that you want to do more of because you feel so good about it, and I don’t think that’s a bad thing. Tim: But if you feel a little selfish about giving, it’s okay because you’re doing the right thing, for the right reasons. And just from a physiological standpoint, giving is one of those things that can actually boost your levels of oxytocin, which is normally considered like a love hormone or relationship type of hormone. Tim: So, it’s basically like a feel-good type of thing. For instance, when mothers are breastfeeding, it boosts levels of oxytocin and it’s a very good feeling. Tim: And so it’s similar in that sense, that you get this internal sense. So, give your time, give money if you have it. Maybe you don’t have those things to give, but maybe you have clothes in your closet that you don’t use anymore. Someone else could use those. Give those things. Whatever you can, just give. I mean, that’s what we’re all here for, to help each other out. Shawn: Tim is very freely giving as well, and you’re very freely giving of compliments, which I appreciate. And I think everyone that’s around Tim ends up feeling better about themselves, because Tim i ick to give a compliment, and they’re sincere compliments. I think Tim is very emotionally perceptive, has a high EQ. His IQ is very high, as well, but high EQ, and just picking up on what people do well. And I think that’s the trait of someone that is very successful. You make everyone a mentor in some ways. Like you pick positive traits out of almost everyone around you, instead of focusing—like we were talking about on a different episode—focusing on the negative. I think you focus on the positive and you take that in and you say, wow, that’s like something I want to model. So you’re great at doing that. You’re incredible. I wanted to go into one thing. I think about, you know, Maslow’s pyramid; the Hierarchy of Needs? Shawn: You know, at the base is reproduction and food and water and sleep, and those kinds of things. At the top is self-actualization, right? So, I think the ultimate point—and this maybe gets a little deep—but the ultimate point of our purpose on the planet is not just for us to achieve what makes us happy or “our thing,” but to help others to the top of their pyramid. Shawn: I think our purpose is to give, to mentor, to teach, to pass on. And that’s ultimately how species survive, is through not just individual learning, but passed on learning, right? Like how to survive, how to improve over time. Like how we made cities, how we made leaps in science. Shawn: And all of it is built on the shoulders of giants, I think is like the Google Scholar thing or something like that, on the shoulders of giants. So I would say that’s our purpose. Like that’s what we’re hardwired for. So when you give, you’re fulfilling what you’re supposed to be and do, and that is like the ultimate thing. So that’s why I think it feels so good, it feels so right. The other thing I would say there is that when I teach someone, when I mentor someone, I’m teaching myself too. I learn it better. Was it was at Einstein that said if you can’t say it’s simply or—I forget how the quote goes. But basically, if you can’t say it in two sentences, if you can’t say it simply, then you really don’t know it. And I think just like we are right now, hopefully we’re trying to mentor you listening, or talk to you listening. We’re also talking to ourselves. Shawn: When Tim and I are sitting here, we’re talking about these healthy habits, and it’s making us better people. Shawn: Because we’re more cognizant of these healthy habits. So, not only is it good to be around other people doing healthy habits, it’s good to have discussions about them, to mentor people on them, because you get better at it yourself. Shawn: You know, a great teacher. I think, you know, the old saying about, “If you can’t do, then teach,” that’s not true. Shawn: Not true at all. To me, the greatest teachers are the greatest doers. So, that’s my thought. Shawn: Yeah, so that was a good one. All right, so next on the list of healthy habits: Serve. And this is this is kind of similar. I don’t know, like what do you think here? To serve, being different than to give, how would you make the distinction? Tim: I think giving, this kind of falls under the umbrella of giving your time. Maybe it’s a bit specific to some kind of charity or something like that. I like this one, too, because this one’s a little outside of what I would normally do. Shawn: Sometimes it can be mundane stuff, right? Shawn: Like if you do have a church, let’s say, they need help in the parking lot. Shawn: Or they need help reading, or whatever it is. Even if you’re not religious, like even if it’s like PTA or whatever. Shawn: I mean, sometimes there’s mundane stuff that needs to be done. Someone needs to do it. And if you’re one of those people that says, “I wish someone would such-and-such,” why not be that person? Shawn: If you ever say that, why not be that person? I just wish someone would do the right thing, I wish someone would step up, I wish right there was someone here to greet someone at the door, or I wish someone shook my hand or said hello in the elevator. Be that person! Shawn: Be that person. Serve. So, find ways to serve. And even mundane things, I think you’ll find a beauty in, as well, because we are meant to be here for each other. We’re not meant to be here in a vacuum, right? Tim: Yeah. No, I think you’re right. I mean, I think it’s worth doing just because you don’t know what you could possibly get out of it. I think that’s a good. Tim: The next one on list of healthy habits is Buy Less Stuff and More Experiences. Tim: You know, I think we’re constantly looking at stuff to gratify or to fill a hole in something that we’re missing, and experiences. And probably, in particular, experiences with other people. I was listening to an interview with Craig Ballantyne, who’s a success coach. Tim: Someone that I look up to and he’s taught me a lot through his work. He talks about life. Again, I can’t remember the exact quote, but I can leave a link in the show notes to where I heard this. But he talks about life is not about what you have, but it’s about the people in your life and what you experience with them, essentially. And sometimes we forget about that. We get so caught up in our jobs, what we have to do, and we really neglect that side of things. And if we just take the time to do more stuff instead of buying more stuff, I think we’ll get a lot more out of life. So, for me for example, something that’s really important to me is I have an 18‑month‑old daughter, and two things that are really important to me. One is to make sure that I spend quality time with her every single day. You know, whenever I have free time, it’s getting on the floor and coloring with her. It’s just getting into her world and just getting into her little princess tent and getting into her imaginary world and just trying to connect with her on that level. Maybe it’s on Saturday, taking her to the farmers market or to the bookstore, and just letting her run wild. So that’s one thing, to me, is doing stuff. We don’t have to buy anything. It’s just about being together. Because she’s got a crap ton of toys, right? Tim: And she loves them, but that time—to me at least. I hope she finds it valuable—is more valuable than anything. The second part of that is spending quality time with my wife and doing more things with her, because now we have this beautiful little daughter who’s really occupied a tremendous amount of our time and energy, and so that the time I get to spend with my wife is limited. So doing more things with her, because again, I can buy her stuff. I can do some stuff for her. Shawn: Your daughter is the sun and you are planets revolving around her. Tim: Right. Exactly right. Those are just two examples, for me, of how I could buy both of them stuff, but what’s far more important is the experiences that I can create with them. Shawn: Well, I’d say now more than ever, stuff is fleeting. I was talking to my wife yesterday, like we were watching this show called “Halt and Catch Fire.” It’s about technology in the 80s. But they had like this projection TV that when it came out was like really cool. It was like a 50-inch kind of projector thing, and you popped open the mirrors. It was a unique TV. And it was in the show and I was like, “Man, we had that.” And I remember it was the coolest TV for like 20 years, in our house. And now it’s like, you know, everything’s so technology-oriented that nothing’s cool for very long. Shawn: Everything’s very fleeting. We wait in lines. We pay big money. We get very excited about these things and then, you know, we grow out of them or the next thing comes out. Shawn: You know, it’s just fleeting. I would also say that when you save money—this is just me talking, financially, here—when you save money, you can compound interest, and that begets more money. When you spend money, there’s opportunity cost there, that it’s not saving, one. Two, if you’re spending money on credit cards and that’s compounding in the other direction. And that thing that you got on sale isn’t so much on sale when you’re paying for it two years later. Shawn: So, just be mindful. You know, you want to talk about self-sabotage. And the number one thing that destroys marriages, and I’m sure probably contributes to a lot of weight gain and unhealthy behaviors, is money. Discussions about money, arguments about money, not having enough money. So, one way you can do that is to be a minimalist, figure out ways that you can reduce your expenditures and buy less stuff, need for less stuff, by how? By getting outside; by watching less TV; by reading more fiction; by exercising, which can be free; by giving, which can be free; by serving, which can be free; by finding more friends; mentoring. Those are all free. Shawn:And there are things that you’ll remember forever. And again, you’re not put here to buy stuff. I feel like you’re put here to give, to serve, to be part of the world, and move the world forward. So, it’s not so much buying stuff. Shawn: So, keep that in mind. So, this brings up to the next one. Shawn: They really all tie in so well. Shawn: Which is why I really love this list of healthy habits, Display Gratitude You’re hearing a lot about this lately, with a lot of these super successful people like Tim Ferriss, Ben Greenfield, Mike Dillard, Lewis Howes. It seems like these positive entrepreneur types or whatever, are all talking about gratitude, displaying gratitude. So, it’s being thankful. And displaying gratitude we have to each other is one thing, but also—I think I talked about this once before—but I was listening on Tim Ferriss’ show once and he had a guest that tried to live a life, biblically, for a year. And he was amazed at, like, one of the things was like ceaselessly being thankful like to the Lord, or whatever. And he wasn’t even religious. He just thought like man it’s crazy that we complain about the one thing that goes wrong a day. And he’s like, “99 things go right a day.” And that’s one thing he got out of this experiment. You know, he had to wear a beard and do all these things that are kind of like Old Testament or whatever. And that was like the thing that really resonated with him was just, man, like so much goes right in my life. And even with—like we talked about before—like stoicism kind of mindset. Even maybe with that one thing that goes wrong, it helps you evolve. Shawn: It helps you get better. It helps you have something constructive to talk to someone about, to share with others. To talk to someone and say, “Here’s how I got around that. Here’s how I got better by that. Here’s what I did when that happened to me.” So, display gratitude. There’s so much that’s good in your life, I’m sure of it. If you’re listening to this right now, then there’s probably a lot that’s right in your life. I bet that you can read. I bet that you have warmth. I bet that you have food. I bet that you have some devices. I bet that you have a job. I bet there’s a lot in your life that there’s people on this planet that don’t have, that you’re taking for granted. So display gratitude. Tim: Yeah, that’s awesome, Shawn. That is a powerful one of the healthy habits. Like you said, it’s popular, I would say, which is good. It’s just people are raising awareness about its significance, and hopefully that helps. Just kind of one thing to tack on to that. I remember my dad always telling me, it was something that Oprah Winfrey was fond of saying was that not only is it important to show gratitude, but when someone displays genuine gratitude to you, it’s really important that you learn how to accept that. Tim: Receive that gratitude, gracefully, graciously. That’s one of those healthy habits that’s just as important. A lot of people will downplay it or not receive it the proper way, and it’s just important to receive that the right way, as well. The next point on the list of healthy habits is to Practice Smiling, and that’s another powerful one. Shawn: That makes me smile. Tim: I know! I mean, our faces usually hurt after these episodes because we get some good smiles looking at each other. That’s another important thing about having healthy habits and relationships is that being around people that they can make you smile. And I think that it’s important that these smiles are genuine and not just some manufactured smile. Although, sometimes if you just laugh and smile, just fake laugh and smile, it feels good, too, right? Shawn: There is data that there’s that psychosomatic connection that it triggers some of the neurotransmitters and hormones, of just smiling. Shawn: Actually, one thing I do before I publicly speak. I’ve spoken in front of 2,500 people. I get super nervous. Shawn: And one of the things I do is I make myself smile and laugh before I get up there, and it helps. Shawn: It really helps me, dramatically. Tim: It calms you down. Yeah. Tim: One thing real quick on the smiling thing, Shawn. Tim: We’ve talked before about how our words can have such an impact on people, and so I like the smiling thing when I’m in public places because you never know how that person’s day is going. If someone holds the door for you or perhaps you hold the door for someone else, and they say thank. Just give them a big smile. It could literally change the direction of their day. Or if the checkout person at the grocery store. That’s not necessarily the most fun job in the world, so maybe give them a smile, say thank you, and you practiced two of the things we just talked about; the gratitude and the smiling. It’s also a form of giving in a way. Tim: Because you’re probably giving them some greater sense of feelings of well-being as a result. Anyway, just remember that your actions are powerful and you can have a powerful influence on people. Shawn: Yeah. Along those lines, I would say a good practice – another healthy habits – is always, when someone’s talking to you, to look at them. An easy time to not do that is like when you’re at a restaurant and a waiter is talking to you about the specials, and you’re just looking at the menu. Shawn: And you’re distracted. That’s actually really rude. Shawn: And it’s a good practice, maybe if you’re listening, this is just one quick thing to try next time you’re at a restaurant and the waiter’s telling you about the specials or speaking to you about what drinks you would like, or whatever. You know, look at them in the eye and give them the respect that they deserve. Shawn: Yes, you’re paying them, but yes, they’re a person that’s serving you, and they’re another person and this is their job, and this is their day. Like you said, give them a smile, look at them in the eye, and I think that goes a long way. So, next on the list of healthy habits, Stop and Just Play. Man this is great. Do you guys listening remember any better feeling than recess? Tim: Oh! It was awesome. Shawn: If you had recess—I’m trying to think—sometimes, literally, recess felt as good as Christmas morning. I mean, to me. You’re like watching the clock. I mean, it’s time to play. And somewhere along the line that can go away, in the weight of life and these burdens that we put on ourselves go away. And we need to make time to play, and it’s just healthy. If you watch animals, think about us as beings, animals that are here on this planet, as well. Animals play. And we’re meant to play with each other, and I think that’s a way that you can give and a way that you can smile, and a way that you can have gratitude, and a way and you can have exercise, and a way you can have less television, a way you can go outside, and on and on and on. It’s like, just go play. You have a child that you get to play with amazing, of course. Shawn: But if you have a dog, go play fetch, throw whatever, go chase your dog. Just have fun. Or if you haven’t ran up the monkey bars in a long time, go do that like. Shawn: Or go to an amusement park. If you have a pool, like cannonball in. Just, you know, if someone’s told you, “That’s for kids. Stop doing that,” they’re robbing you of your joy. Nothing’s just for kids. You know, be a kid, enjoy your life. Life is not an inexhaustible well. Life is very finite, so enjoy the time you’re here and make time to just play. Tim: Yeah, I love it, Shawn. And it may even extend to things like playing cards. A group of people playing a board game and things like that. Shawn: Oh, that’s the best. Tim: And now you have a replacement for the television, right? Shawn: Board games are the best. I love those. Tim: And these social connections and things like that. Shawn: I love wrapping on this last one because it’s just everything. Shawn: It’s the great summation. It’s a choice. Tim: So, the last one on the list of healthy habits that Shawn’s talking about is Determine to Be Happy. I like this because, like you said, it’s really the comprehension of all of these in a way. But it’s really setting an intention, right? It’s not just like I’m setting a goal to lose weight. It’s really an intention with your life that everything that you do is to really fall in line with this priority of being happy. And I think that’s important. Also, it really helps you identify what it’s going to take for you to be happy. What does it really mean? It’s not buying stuff. We’ve already talked about that. What are the experiences that you need? Who are the people that you need to be around? What are the things that you need to do? And a lot of this comes back to you, right? These are actions, and it’s individual to each person, too. Shawn: A lot of it is buying stuff. .
well. hing, Shawn.ue. ents. dexing, inserting and manipulatings mindset and choice. Shawn: It really. But certainly we can do healthier things that make us happy. But I think the “determine to be happy” mindset and choice. Shawn: Because I can point out to you people that are thin and attractive. I can point out to you people that are super rich. I can point out to you someone that’s living in that amazing neighborhood. I can point out to you someone that’s driving a Ferrari, point out to you someone that whatever. Whatever these things are, you think that might make you happy; eating at the best restaurant or whatever or traveling to Paris. I can point out to you people that have done all those things and they’re miserable. So what does that tell you? Happiness is a choice. It isn’t this thing you can get. Yes, there’s experiences that can make you happy and people that can make you happy, like we’ve talked about. But it’s not the destination that’s making you happy all the time. Shawn: You know, happiness is something that you have to set out to achieve. Tim: Yeah. There was a video that we had watched one time. It’s been a while back. And it really talked about what motivates people to work, and I think there were three elements, and two are only coming to me right now. But I think these elements are also really important for happiness. One was having the sense of purpose, which we talked about. Like really knowing that the things that I’m doing in my life are going towards the greater good. Another is a sense of autonomy. Like really having the ability to kind of have a say in what you do in your life. That’s an important component of it as well. But that sense of purpose is really something. Like when you have these moments of “feel good,” you can’t really bottle them up, but maybe you write those down in your gratitude journal and identify when these things happen, what’s the environment you’re in, who are the people that you’re around, what were you doing. And the more you repeat that, maybe the more that you are getting closer to this sense of happiness that you’re looking for. Shawn: Yeah. We’ve talked about doing that, like to empower yourself with the data of like, when you’re dieting. Again, maybe we want to get away from that word. But when you’re eating, having that journal, and like who are you around and what were the triggers, and whatever. You tend to almost think of that in a negative way, but here’s a way. Who were you around? What were you doing when you felt great? Shawn: Or maybe ate great food. Shawn: Or ate healthy food. But certainly, I think the more you journal, the more aware you are of yourself. Again, this is a journey. It’s about self-discovery, the more you know about yourself. And it’s kind of funny. Sometimes you think you know the other person, even your spouse. Or maybe you don’t know them that well. But sometimes you don’t even know yourself that well. Shawn: I think we tend to view ourselves through a filter and we’re not collecting enough data on ourselves and really thinking through our decisions, thinking through our triggers, and really breaking ourselves down. And everything comes back to the man in the mirror, so determine to be happy. So we’ll leave it there, and hopefully you enjoyed this show on healthy habits. I really did, as usual. Tim: It was awesome. And remember, you don’t need to try to pick up all these healthy habits at once. Maybe pick one of the healthy habits to practice at a time. Shawn: So, if you need help and you want to get more information, we have several places to get it. We have a blog on BioTrust.com. We have this BioTrust Radio, which I hope you listen to these episodes and enjoy it. And then I would encourage you to go to the VIP Facebook area and get some help there, and plug into the group of positive people that are trying to change their lives for the better. And be a mentor and be mentored. That’s one of the best things you can do in life. So, hopefully you guys enjoyed this episode, and we really appreciate it. Thanks for listening.